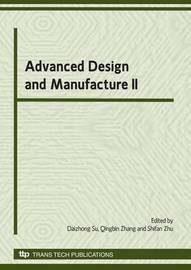 This volume comprises a prestigious collection of refereed papers on Advanced Design and Manufacture. 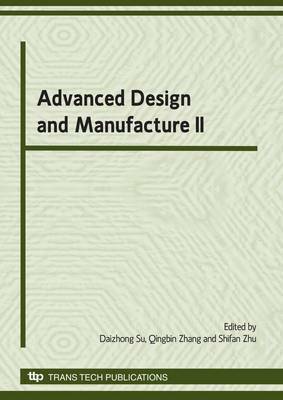 In the face of the current global financial crisis, it is extremely important to identify new technological needs and priorities in the fields of design and manufacture. The major topics tackled are: engineering/product/industrial design; manufacture and production; engineering materials; CAD/CAM/CAE; robotics, automation and control; sustainable technology, environment; friendly design and manufacture; Web/Internet technologies, artificial intelligence and smart computing in design and manufacture; and, enterprise, management and supply chains. These 217 selected peer-reviewed papers, chosen from among over 400 originally submitted, offer an incomparable insight into the subject.